An herb-packed vinegary sauce stars in this make-ahead lunch. 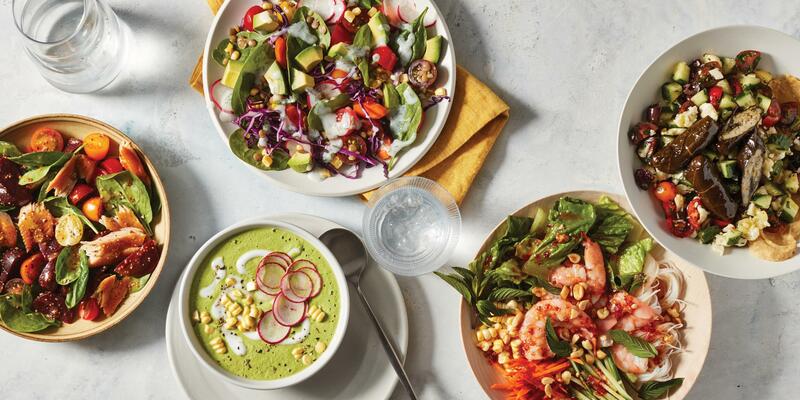 "The secret to these wraps is keeping the bib lettuce separate until you're ready to eat so that it stays soft, silky, and crunchy," says Katzie Guy-Hamilton, chef and director of food and beverage at Equinox. 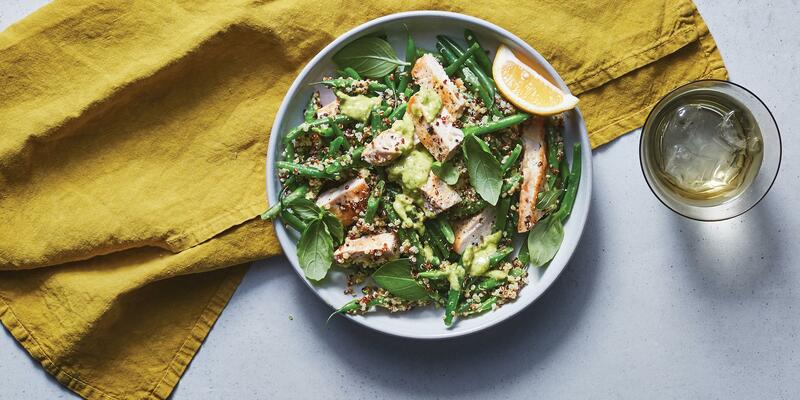 Try this recipe as a part of meal prep or when you're looking for a light, flavorful lunch or dinner. This recipe is part of our meal prep series for July. Click here for all the details. Combine shredded chicken with 2 tablespoons of chimichurri sauce and place in a small airtight container. Place 8 to 10 bib lettuce leaves in a round airtight container. 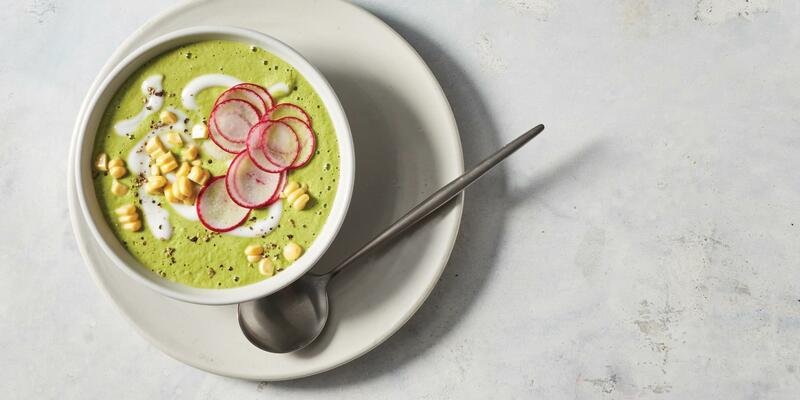 In four small containers place radishes, crumbled goat cheese, diced avocado, and additional chimichurri. Store a few pieces of crispy chicken skin in an airtight container at room temperature or a small sandwich bag. 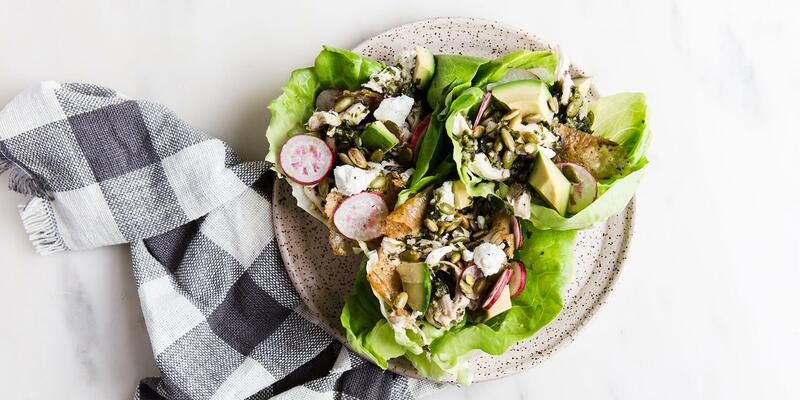 At your desk, fill lettuce cups with shredded chicken and top with goat cheese, radishes, avocado, pumpkin seeds (from your condiment kit), crispy chicken, and additional chimichurri.